Sharing a little bit of Pandamonium with you this evening. It feels like it describes my day. lol This challenge was to use masking to make a group as the focus of your card. 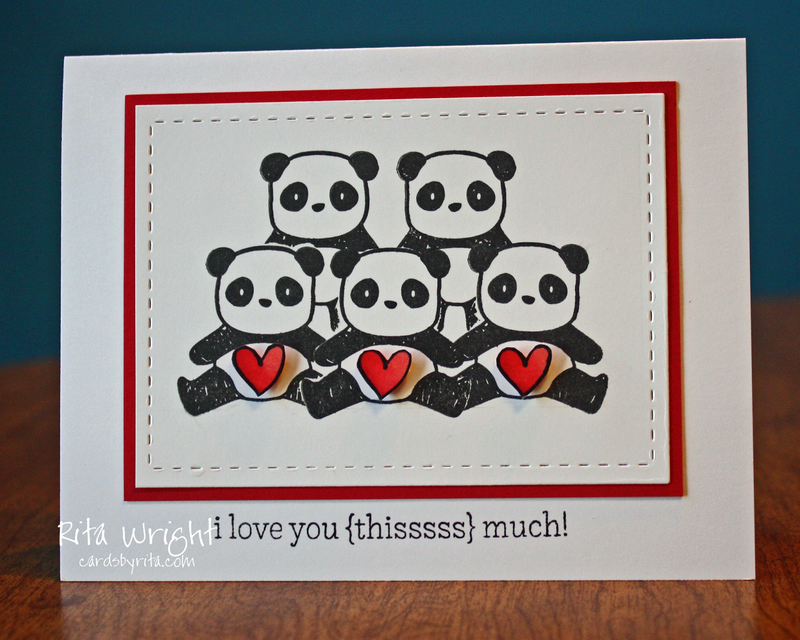 I love these cute pandas from Mama Elephant and I thought they'd be fun to use for this one. Love your pile of pandas! 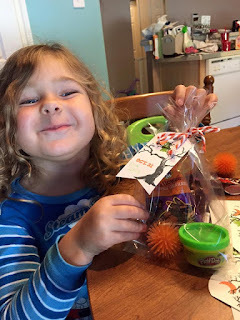 This would work for this week's Muse Card Club if you want to link up! We'd love to see you there! 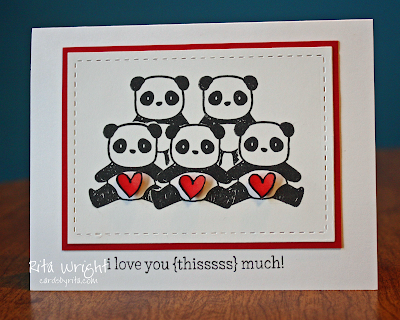 I love your rows of pandas - how fun to line them up with their little hearts!